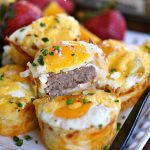 Sausage and Egg Hash Brown Cups are the perfect easy breakfast for busy weekday mornings or a casual weekend brunch. The cheesy hash brown cup is filled with a sausage patty and topped with an egg for a filling and delicious breakfast any day of the week! Serve with fresh fruit or this Tropical Fruit Salad for a tasty breakfast to remember! This post is sponsored by Jimmy Dean. Breakfast is king in our home. 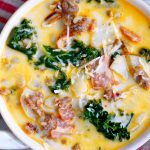 Hot breakfasts happen 5 to 7 days a week and although some might say I spoil my kids, I know that getting them a nice breakfast is key to them having a successful day in school. Lunch is so hit or miss and depending on their mood, they even occasionally skip it altogether. I love sending them off to school knowing they have full bellies and are ready to start their day. 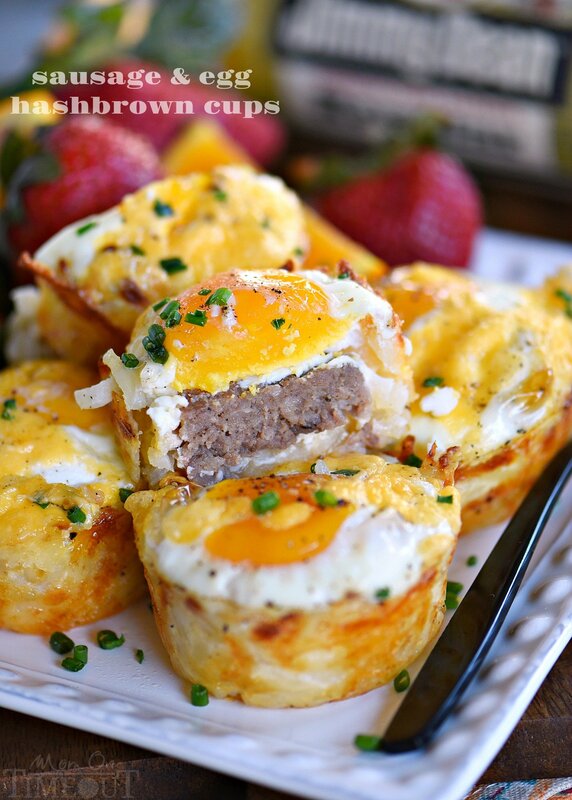 Many of our favorite breakfast recipes start with Jimmy Dean Premium Pork Sausage. This fresh sausage is a delicious staple in our house. I’ve relied on its superior flavor and unique blend of signature seasonings to make our breakfasts shine for as long as I can remember. 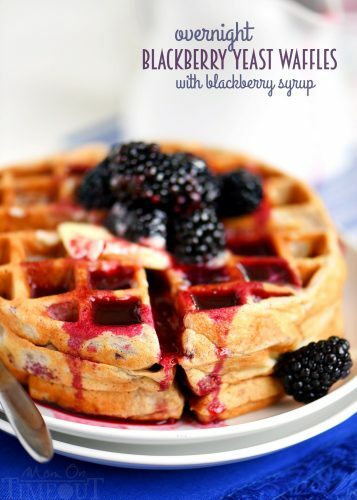 We make a lot of fun breakfast recipes during the week and amp it up a little on the weekend. 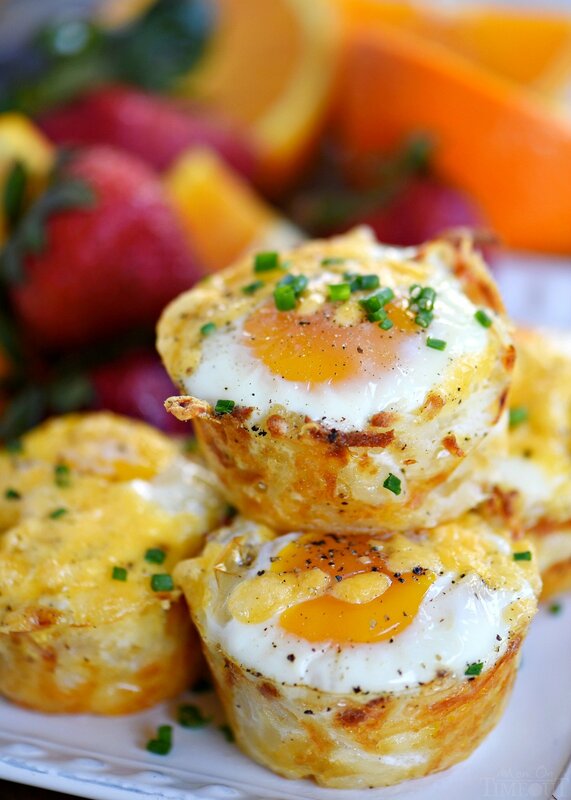 These easy Sausage and Egg Hash Brown Cups would be perfect for a casual weekend brunch or a busy school morning. Super versatile and they are quite irresistible. 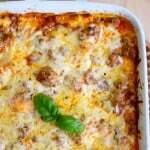 For this recipe, instead of frying the sausage, I baked it on a foil-lined baking sheet. Not only is it easy, it makes clean up a breeze. The hash brown cups are a mixture of refrigerated hash browns, cheese, salt and pepper and a little olive oil to help them get crispy. 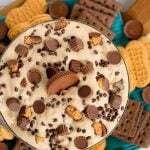 The cheese not only adds some yummy flavor to the cups but also helps the cups stay together. Basically, delicious food glue. The hash brown cups are baked on their own for a bit and then it’s time to layer on a sausage patty, egg, and a little more cheese. Back in the oven they go! As soon as those eggs are set, it’s time to eat. I topped the hash brown cups with some fresh chives, green onions would also work. Just a dash of freshness and color to brighten up this savory breakfast. 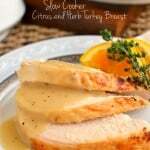 Serve with some fresh fruit and you’ve got a meal to remember. 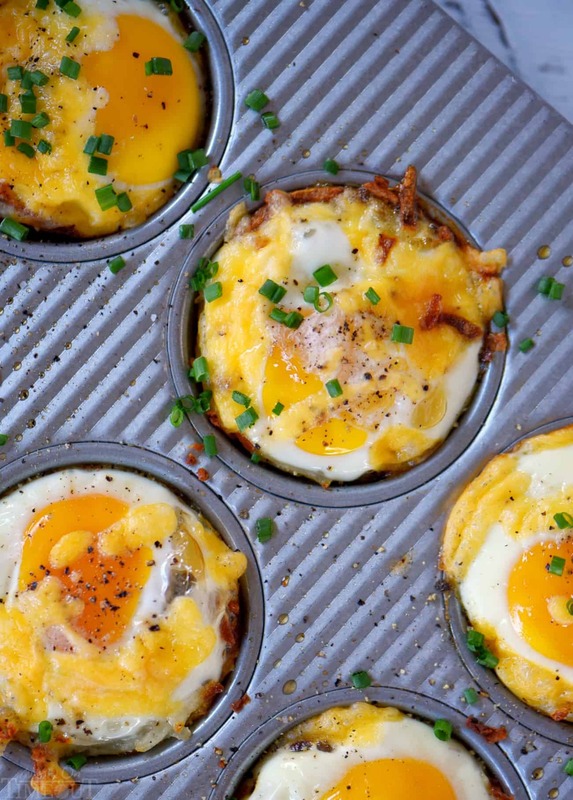 These hash brown cups also make an amazing breakfast-for-dinner option any night of the week. During recipe testing, I used three different muffin pans. I noticed each pan had a different size well. 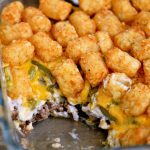 Keep that in mind as you are making this recipe and note that you may need more or less hash browns, sausage, etc. Use Jimmy Dean Premium Pork Sausage for optimal results. The unique, savory blend of seasonings adds the perfect flavor to these easy hash brown cups. 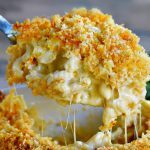 I used refrigerated hash browns for this recipe but also tested using frozen and fresh potatoes as well. To use frozen hash browns, simply thaw and then proceed with the recipe as written. To use fresh potatoes, bake 4 to 6 medium russet potatoes just until slightly tender, cool, grate, and then follow the recipe as written. Generously spray the muffin pan wells with non stick cooking spray. 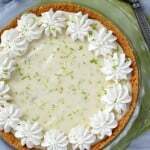 The muffin pan I used here has exceptional nonstick qualities and I experienced absolutely no sticking of any kind which makes removal a breeze. Let the cups cool for 5 minutes or so to aid in easy removal. 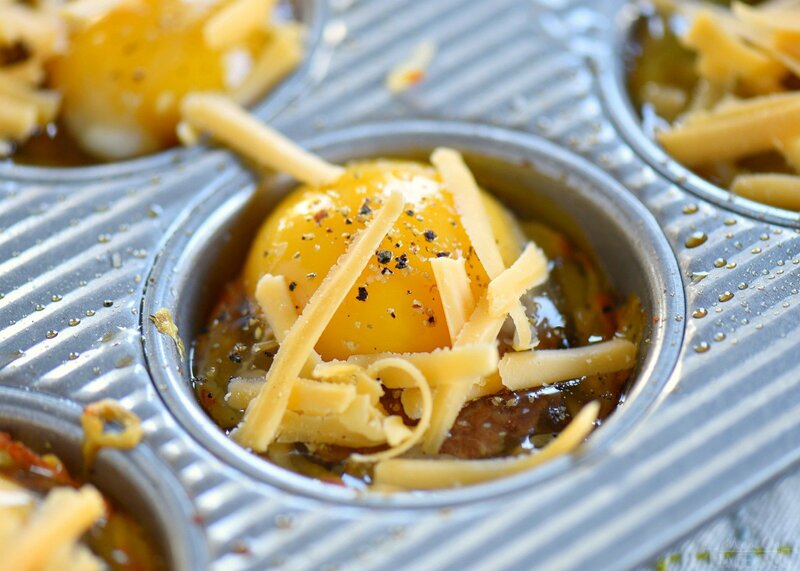 Sausage and Egg Hash Brown Cups are the perfect easy breakfast for busy weekday mornings or a casual weekend brunch. The cheesy hashbrown cup is filled with a sausage patty and topped with an egg for a filling and delicious breakfast any day of the week! 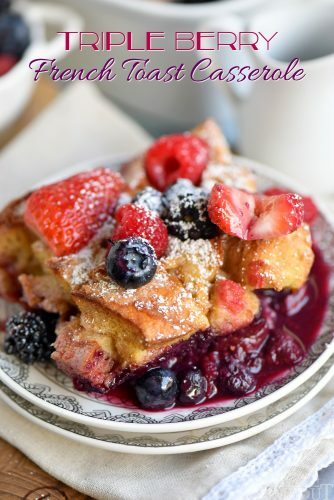 Serve with fresh fruit for a tasty breakfast to remember! 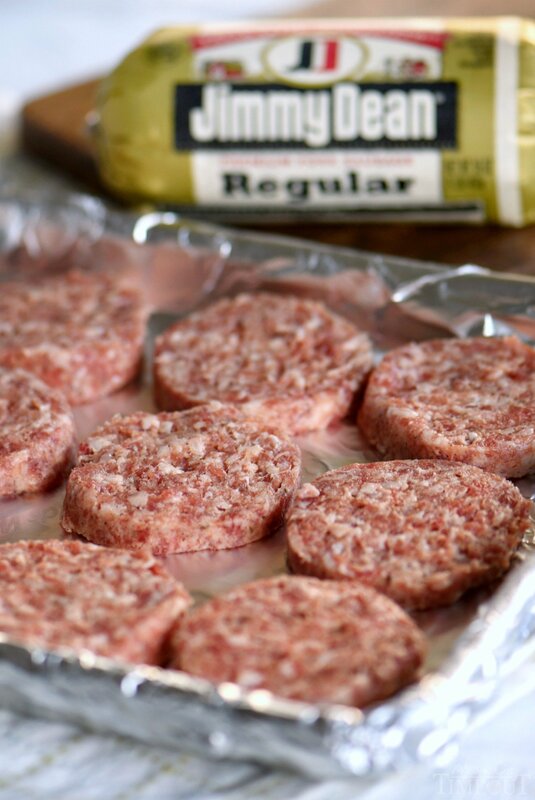 Divide Jimmy Dean sausage into 12 equal patties and place on baking sheet. Bake for 15 minutes. Increase oven temperature to 450F. In a large bowl, combine hash browns, one cup of cheese, olive oil, and salt and pepper. Toss to combine. Generously spray a muffin pan with nonstick cooking spray. 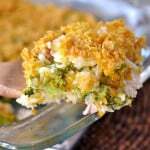 Scoop out rounded one-quarter cup of hash brown mixture and press into each well of the muffin pan. 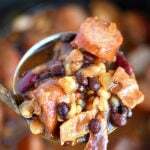 Use a spoon or your fingers to pack the mixture in tightly. 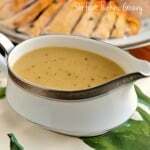 Spray with additional nonstick cooking spray and bake for 15 minutes. Remove the muffin pan from the oven and use a spoon to carefully press hash browns down and up the sides of each hash brown cup to create a cup or nest shape. Place a sausage patty in each hash brown cup, trimming the patties if needed. Carefully top each sausage patty with an egg. Sprinkle remaining cheese on top of each egg and season with additional salt and pepper. 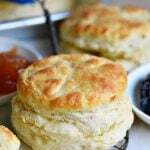 Bake for 12 to 15 minutes or until eggs are set. 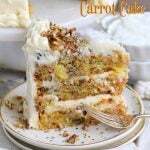 Allow to rest for 5 minutes before carefully removing with a spoon. Top with fresh fresh chives if desired. 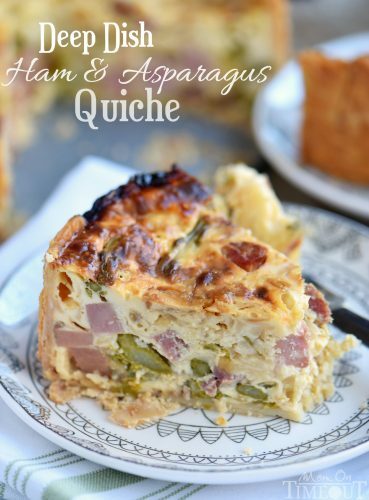 Hungry for more breakfast recipes? Try these Poached Eggs or this Breakfast Bundt Cake! Amazing idea! And it looks so good! Boys will love this! At last there is some meat in it! Thank you so much Raelyn! They really are delicious!